Today is the Annual Fun Fair at my kids' school with a water dunking tank, face painting, bounce houses, a DJ and just fun fun fun! Since my kids are always looking forward to this special day and I was sick last week and could not pack really any lunches I wanted to do something fun for today! I hope it sweetends their day until it's time for the Fun Fair tonight! My 5YO asked me the other night to make him a truck lunch. So we looked through our cookie cutters together and he picked a fire truck and a "Zoo" truck. He helped me cut out the bread and then we decided how to decorate the trucks together. I used Nutella and a icing bag to draw the details on the trucks :) It was so much fun to let him tell me what he would like and he was so proud of his lunch! This lunch has veggie sticks, grapes and two truck sandwiches made out of whole wheat bread and Nutella. He also packed an ice water and a yogurt! 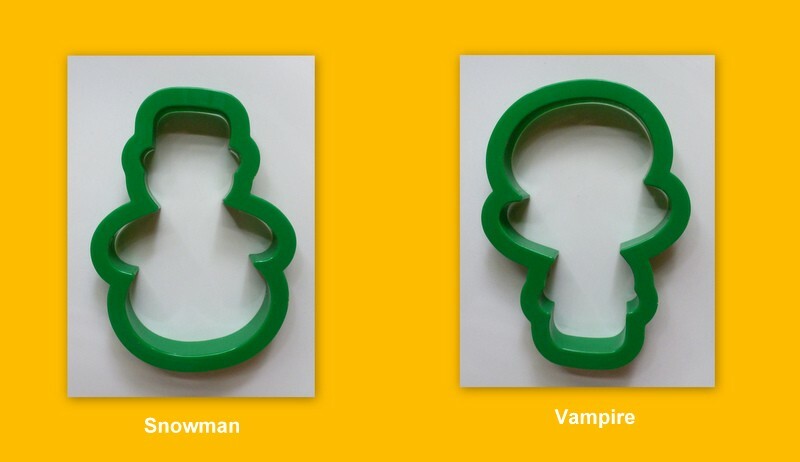 Since my cookie cutters were already neatly set out on the counter pretty much all over the counter my 7YO also wanted to pick a lunch :) He handed me a snowman shape and requested a vampire. I kept looking at the snowman shape wondering why he had picked that perticuliar one for the vampire until he laughed and turned it around in my hand. Pretty cool! I love when my kids get excited about lunch and I love when they want to be creative and help! We made my Dad's famous German potato salad with German sliders for dinner last night and one of my sons asked to bring some of the potato salad for lunch. He picked his Dino thermos to keep the potato salad cool and asked if I could make the rest of his lunch match his thermos. He is bringing a thermos with potato salad, an Easylunchbox packed with grapes, cheese crackers and two Dino sandwiches. One with a sliced up slider and salad and one with peanut butter for dessert ;) The Dinos have candy eyes and there are also carrot stars as decoration. As always he has ice water in a re-usable water bottle. Lunch already brough early morning giggles from my kids! I packed Goldfish Adventure crackers, a yogurt and blueberries on garden bento picks, well, and of course our shocked bread. Here is to a happy Thursday! Even though we had a beautiful and sunny weekend it has been raining again for days. I am wondering when summer will actually finally make it's appearance! To make yet another rainy day brighter I packed a summery caterpillar lunch. I found this very easy tutorial for sandwich balls at Cute Foods For Kids and just thought it was a great idea to switch things up. The sandwich balls are made with whole wheat flax bread and filled with a dollop of Nutella. 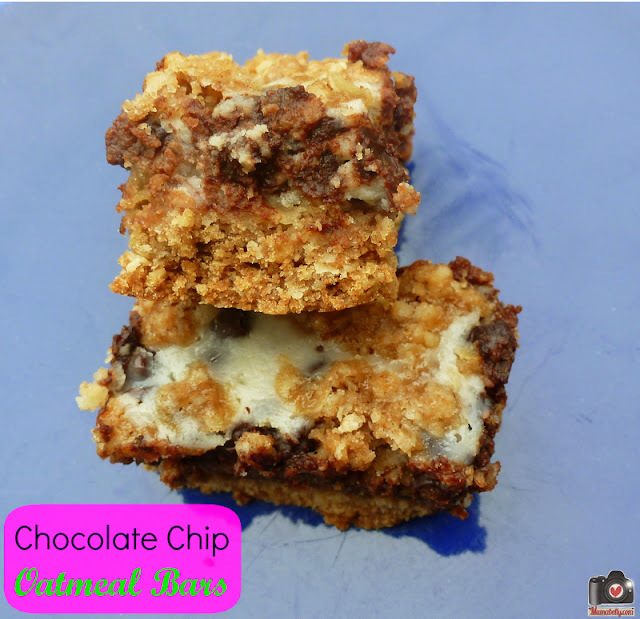 I tried one that broke in the making and have to say they are delicious and fun to eat! The lunch is made up of three sandwich balls. The caterpillar head is a sandwich ball in a flower shaped silicone cup with candy eyes and a dye-free fruit leather mouth. The body is made out of two sandwich balls decorated with bread crust. 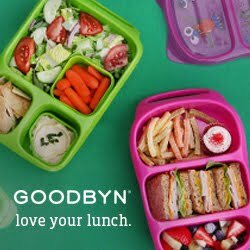 There are also blueberry bento picks, crackers and peanuts and a yogurt decorated with dye-free fruit leather and dye-free sprinkles. Let's hope summer comes soon! It has been raining for days it seems like and we are all craving sun and summer! So, I decided to pack a fun summer inspired lunch today! The kids all have watermelon balls, crackers and pepperoni pinwheels and an "ice cream" sandwich made out of whole wheat bread and decorated with dark and white chocolate. As always we packed ice water and yogurt to complete the lunch! Our first winner is Janice! Comment #44 :) I have emailed you, Janice! Congratulations! Our second winner is Keeley from the wonderful Keeley McGuire Blog! She was lucky comment #10! Congratulations! I emailed you, Keeley! CONGRATULATIONS to both winners! And thank you everyone for commenting! I made Yoda, Princess Leia, Anakin Skywalker and Darth Vader. All with melted chocolate, candy eyes and fruit leather. The first lunch Anakin Skywalker. I drew his face on whole wheat honey bread with melted milk chocolate and added candy eyes and a small piece of fruit leather for the scar. Also packed are strawberries, crackers and two light saber picks with blueberries. The second lunch is Darth Vader. He is drawn on whole wheat honey bread with milk and dark chocolate. Also packed are strawberries, crackers and light saber picks with blueberries. The third lunch is a Princess Leia lunch. I drew her with melted milk chocolate and added candy eyes and fruit leather blush and lipstick. Also packed are strawberries and light saber picks with blueberries on crackers. The fourth lunch is a Yoda lunch. This lunch is not dye-free since the chocolate I used contains green food coloring. I love Yoda and had to make him. I just found a great company that make natural food coloring so next time I would use white chocolate and add some natural color! I drew Yoda with melted green chcolate melts and mixed in melted white chocolate for the details. Yoda also has candy eyes :) As above this lunchbox also contains strawberries, crackers and two light saber picks with blueberries. Just click our Blog Hop button! May the 4th be with you, my friend!